StudioPress Accelerator Review - Just how fast is it? Accelerator is a page caching system, it’s similar to a CDN (content delivery network), like CloudFlare. But! 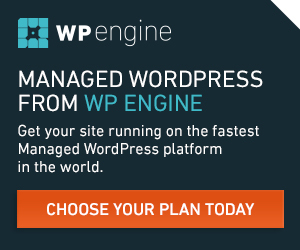 Accelerator is optimized for WordPress. If you’ve got a small business website or a blog built on WordPress, Accelerator is made just for you. If you’re using Genesis and a StudioPress theme, Accelerator has been tweaked even more in your favour. You have to make changes in your cPanel to A and MX records. My current web host offered to do this for me, if I couldn’t do it myself (I used Accelerator when I had basic hosting). If you’re not a techie contact your web host and ask if they’ll help. WordPress website or blog owners who need a budget-friendly way to get a seriously fast website at a great price. Why is it the best option? If you have modest needs. You don’t need the power of a dedicated server or a VPS (virtual private server). StudioPress Accelerator added to your current web hosting can be a great choice. The main thing to consider is, are your users logged in or not? If your website users need to be logged in to WordPress when they visit your site, Accelerator is probably not right for you. For instance, if you run a training site. Your users might have to log in to your WordPress installation and appear as WordPress users in your WordPress dashboard’s all users section. In a case like that Accelerator might not be a good choice. You use the right host for the specific needs your site has. Dedicated, VPS, Premium WordPress hosting. For a lot of start-ups, the combination of some basic web hosting and Accelerator will be a great choice. You get a seriously fast website at a great price. If you want a budget-friendly way to make your site load faster, StudioPress Acccelerator might be just what you need. When I used Accelerator my site loaded fast. StudioPress Accelerator is cheaper than a VPS or premium WordPress hosting. If you have a membership site and visitors have to login to see your content, Accelerator might NOT be your best choice. I had to make some changes in cPanel. But I was given all the instructions I needed. I’m glad I bought StudioPress accelerator. I’m not a server guru but as far as I can see… StudioPress Accelerator caches your WordPress web pages and make them more like static HTML files. These cached files are stored on a fast server. So you end up with faster web pages on a fast server. StudioPress Accelerator is not web hosting! Accelerator is not an alternative to web hosting. You use it in addition to your web hosting. This means you pay twice. You pay your web hosting bill and you pay the StudioPress Accelerator bill. What if I have comments enabled on my site? This quote is from the StudioPress site “Logged-in users, cookie-based sessions, or ecommerce pages are not cached”. So if most of your site visitors need to be logged in, to a training site for instance, Accelerator is probably not the best solution for you. What about this site, did it work for me? My hosting was already fast enough most of the time. But at busy times it slowed down quite a lot. I wanted my site to load quickly most if not all of the time, so my site visitors didn’t have to wait around. For me, Accelerator was consistently fast. Will your site load faster AND is Accelerator easy to set up? When I used Accelerator, I tested my page load times with speed testers it took between 1.5 and 3 seconds to load. If my site didn’t have Jetpack buttons or YouTube videos I think it would load slightly faster. Is StudioPress Accelerator easy to set up? My first concern was speed. My other big concern was how easy it would be to set up. Setting up the Accelerator Cache was quite easy. I typed my domain name into the appropriate dialogue box on the StudioPress site and the software correctly guessed my site’s IP address (I also had to make a change in my web hosting cPanel). I chose New York, from a drop down list, as the region to locate my site. So people in the UK and the US would both see an increase in page load times. My web host also provides me with email accounts and I wanted to keep them after setting up StudioPress Accelerator. This was more tricky to set up. I had to log in to cPanel and change mail and ftp A and MX records. Luckily StudioPress and my web host provided me with all of the information I needed to make the changes. My web host also offered to log in and make the changes for me if I couldn’t do it myself. Which was nice of them. The changes needed for these settings depend on your server set up so I can’t give you specific instructions. However, it only took a few minutes to make the changes once StudioPress and my web host explained what needed doing. I backed up my site and emails before making the changes just in case anything went wrong. I didn’t need the backups. But it’s better to be safe than sorry. After making the changes test and make sure you can send AND receive emails. StudioPress Accelerator made my site load faster. I had to make changes in my cPanel to A and MX records. But my current web host offered to do this for me if I couldn’t do it myself. If you’re not a techie contact your web host and ask if they’ll help. When you use Accelerator your web host’s server will receive less traffic, so they have a vested interest in making sure you can set this up easily. It’s well worth asking to see if they’re willing to help. My web host offered to log in and make the changes for me, it’s possible yours will too. Why not ask them? All in all, my site loaded as fast as if I’d invested in seriously fast web hosting. I got the results I wanted at a fraction of the price of a dedicated server, VPS or premium WordPress hosting. Accelerate your WordPress site hassle-free for 30 days. You’ll love it, or your money back… guaranteed. For most small business websites StudioPress Accelerator will provide fast load times at a fraction of the price you’d pay for a VPS or premium WordPress hosting. If your site visitors actually log in to your site, to take a training course for instance, you might need a Virtual Private Server or premium WordPress hosting. I highly recommend that you consider StudioPress Accelerator. It worked for me. Are you ready to take your first steps? 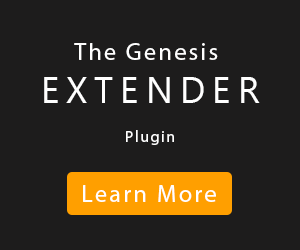 Watch as I install WordPress and Genesis. StudioPress Accelerator, the budget-friendly way to get a seriously fast website. Please let me know if you get stuck. I only get paid if someone buys a product. Not because someone clicks a link. You pay the same price using my links or the StudioPress site. If I earn some commission I can spend some more time making more tutorials. P.S. Thanks to all those folks who have bought through my links. Philip Gledhill is a Bradford web designer and WordPress assistant. Customise your Genesis child theme the easy way. There are many good websites where you can find information about the Genesis Framework. I use the sites listed below on a weekly or even daily basis to find answers, solutions and basic information. I hope you find them as useful as I have. There are two Genesis courses on Lynda.com. Up and Running with Genesis and Customizing Themes. Both are well worth a look. And if you're new to Lynda.com you can usually get a 7 day free trial. 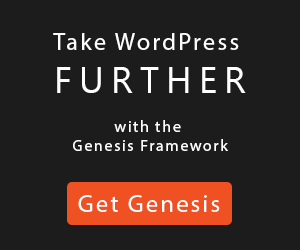 Loads of WordPress and Genesis tutorials. Well worth a look.